Cervical cancer occurs when abnormal cells on the cervix grow out of control. This results in an excessive accumulation of cells which eventually form a lump - a tumor. Cervical cancer can often be successfully treated when it’s found early. It is the third most common cancer among Malaysian women. Most women diagnosed with cervical cancer are those who screens irregularly or have never been screened for it. Human Papillomavirus (HPV) is the main cause of cervical cancer. It is known to cause cell changes in the cervix and may lead to the development of cervical cancer. Cervical cancer can be prevented by undergoing regular screening through co-testing of Liquid Based-Cytology (LBC) and HPV DNA Genotyping Test. - HPV DNA Test is a test to detect and determine the Human Papillomavirus (HPV) strain which is the main cause of cervical cancer. conventional method, the Pap smear. 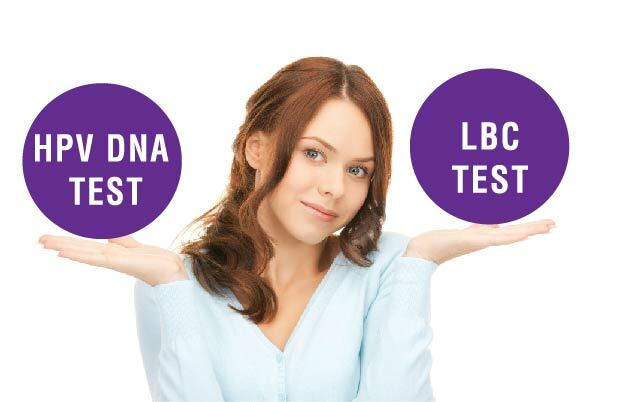 If tested positive for HPV but LBC indicates no cell changes, condition can be closely monitored. In the event of cancer, a lot of genes was found to be highly methylated. This occurrence is found in the majority of cervical pre-cancerous or cancerous lesions but not in the normal or benign lesions. Therefore, methylated gene can be used to distinguish patients at minimal or high-risk of progressing to cancer. Abnormal DNA methylation has been identified as a signature event of carcinogenesis. As a result, DNA methylation can serve as bio-markers for early detection of cancers. PAX1 gene was found to be highly methylated in the majority of cervical pre-cancerous or cancerous lesions but not in the normal or benign lesions. MethylCheck detects the methylated PAX1 gene in genomic DNA extracted from cervical cells. 1. What are the risk factors for cervical cancer? 2. I have been vaccinated with HPV vacine. Do i still need to go for screening?